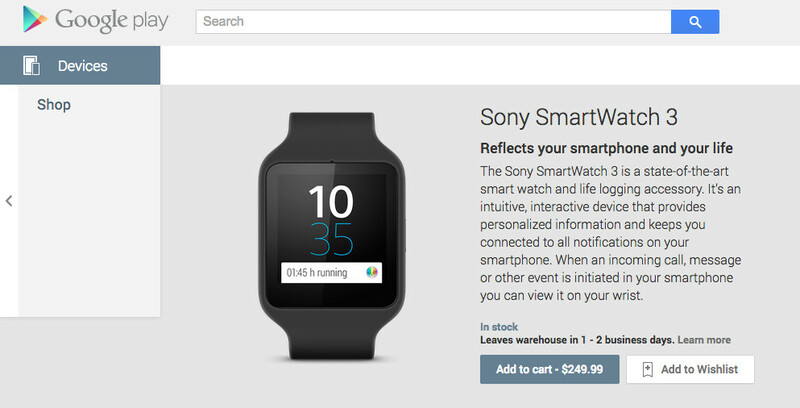 Sony’s new Smartwatch 3 is no longer a Verizon exclusive and can be purchased from Google Play for $249. The Smartwatch 3 from Sony is one of the newest Android Wear watches, but it seems to be aimed a little more towards the fitness crowd. Sony has packed a GPS inside the wearable, giving you the opportunity to take workouts on the go without a smartphone connected. It also packs the latest in smartwatch tech, with features like a 1.6-inch LCD display, 1.2GHz quad-core processor, 420mAh battery, and Bluetooth 4.1.